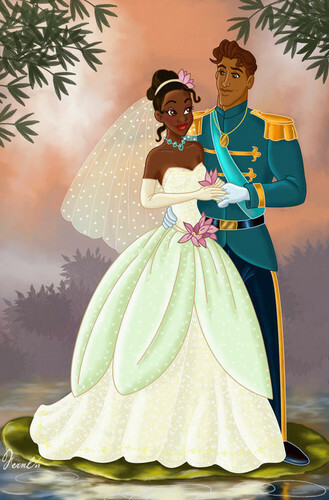 the princess and the frog. . HD Wallpaper and background images in the The Princess and the Frog club tagged: princess and the frog disney tiana mjfan4life007. This The Princess and the Frog fan art might contain 폴로네즈, 폴로 네즈, 명예의 신부 들러리, 하녀, 신부 들러리, 하녀의 하녀, 들러리, 부케, 코사지, 꽃다발, posy, nosegay, and 코 사지.